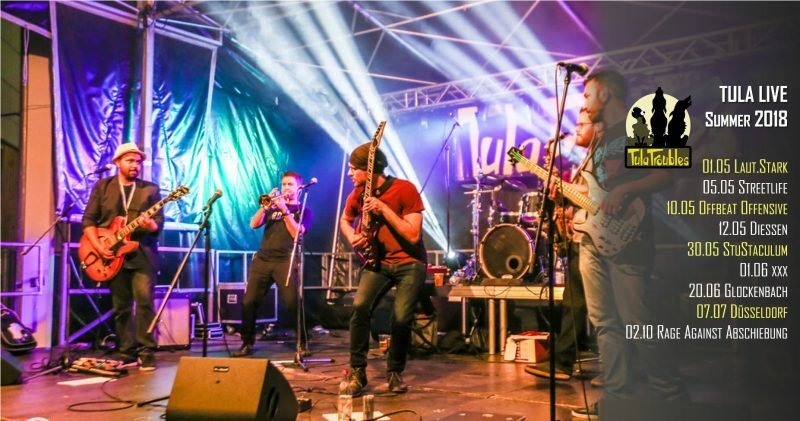 2008-2018 – Ten years of TulaTroubles must be celebrated doing what we like the most: being on stage for you! With new power – since the Tula Family will grow to up to 10 members – and brand new songs, such as Reboot Babylon, Perséphone and Les Consolations, in addition to the three we presented last winter (Amanecer, Compañero Obama and Selde Hapsolmuşuz). It sounds like a new album is coming, doesn’t it? Check here all updates about our gigs in the summer of 2018! 10.05 Offbeat Offensive – Since 2013, this is the best place to listen to Ska and Reggae in Munich. In this edition, together with the founders TulaTrobles, Rapid and Troubadix Rache, also Sentilo Sono and SKATAPULT from Wien. Contact us and get your ticket! 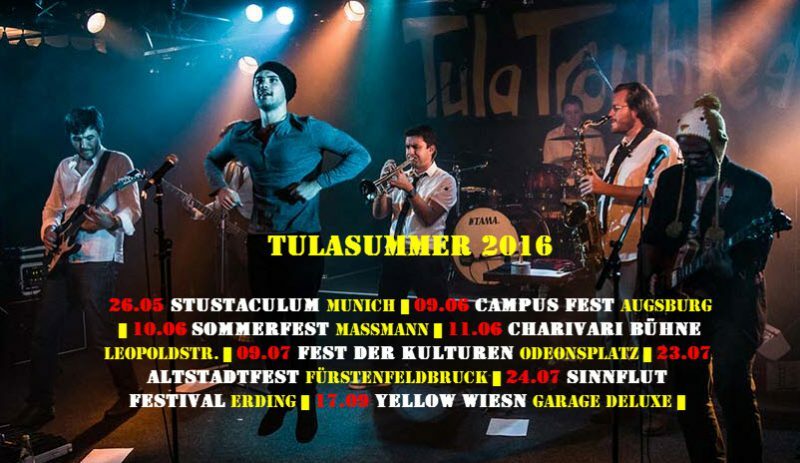 Stand Up for Theatron MusikSommer! 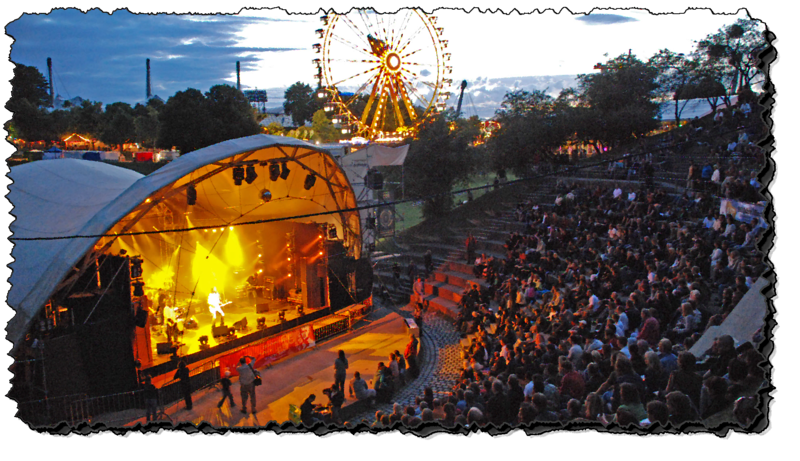 On Sunday, August 23rd, TulaTroubles together with Rapid and The Music Monkeys will have the honor to close the Music Summer of Theatron (Olympiapark, Munich) with a long offbeat special (more infos here). The question is: are we going to STAND UP, or are we going to accept this absurd DANCING PROHIBITION after 45 years of Theatron? They threaten to stop the event if the audience will not sit down. SIGN HERE THE PETITION PROMOTED BY RAPID AND BENUTS TO ALLOW DANCING IN THEATRON! More than 1000 people signed in the first 5 days! Nobody is able to multiply the Time at his/her disposal, like someone does for example with money. And you can’t even win back the Time you lost, just like one could do with money. For this reason, we can say: TIME is the most valuable resource we have. In this project called L’Albatros we invested about one a half year of our time, our free time. We have been working during the weekends and the nights, listening to the songs also while driving or taking a shower. But the most important thing now is that we can look back and say: it was worth it. Every single minute! We thank our Michi for the montage of this nice video, and the cameraman Lorenzo!